When it comes to the mad rush of the holiday season, there are always plenty of things to take into consideration, including getting the right kind of gifts for other folks. The thing is, we might end up in a frenzy knowing that we are running short on time and having absolutely zero ideas on the kind of gift to purchase. Well, fret not if you know of a particular person or family who would like to have a greater degree of security at home, as Logitech has conveniently stepped forward to offer a trio of new Circle 2 bundles which will bring together home security cameras, popular mounts and accessories. 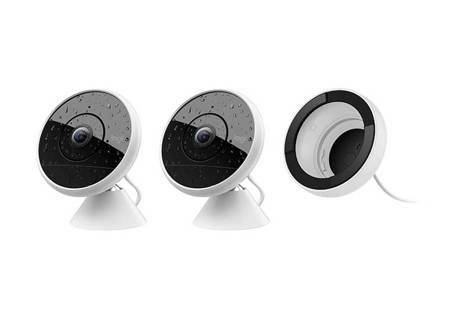 These are totally new bundles which can be deemed to be perfect as a gift for someone who is on the lookout for the very first home security camera system, and it also works great as an additional ‘eye’ to keep watch over various parts of your home. The Circle 2 Cameras will boast of 1080p quality video recording, 180-degree wide-angle view, Smart Alerts and notifications, in addition to the latest smart home integrations that work with Amazon Alexa and Amazon Echo Show, the Google Assistant, Apple HomeKit (when the camera is in a Wired mode), and Logitech’s own Pop Smart Button. You will be able to save $100 with the Circle 2 Combo Pack that sports a pair of wired cameras and a single window mount for $299. For those who would like to save more, the $329 Circle 2 Combo Pack that comes with a pair of wireless cameras and a single rechargeable battery is worth checking out. Last but not least, there is the Circle 2 Multi-Pack with two wireless cameras and a wired camera that will save you $150 with its $429 price tag. All of these bundles are available now all the way through to December 23.